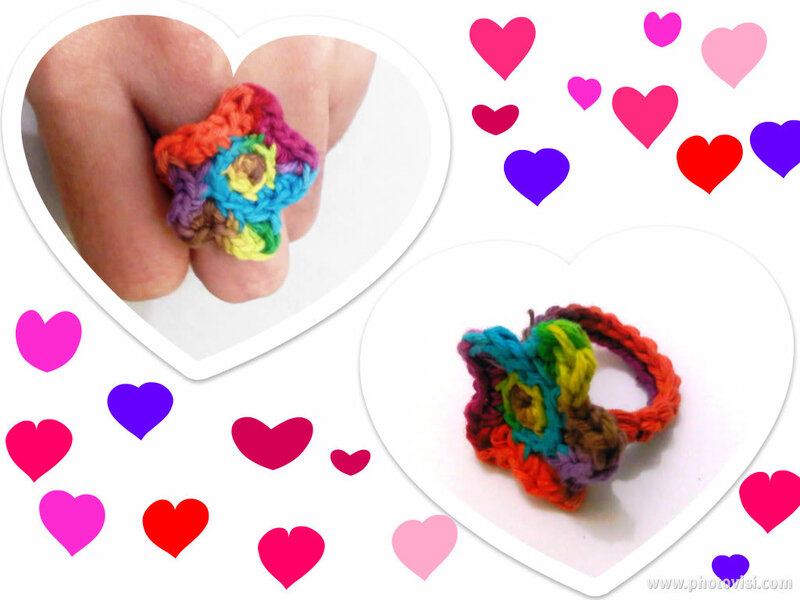 Today I'm gonna share a pattern for this cute little flower ring, you can wear it in any style and make it in several color to match your style. 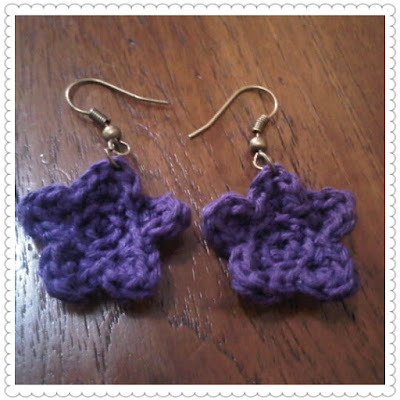 The flower are done in continuous round and the base ring is adjustable. - join both end by sewing or by sl st.
Sew the flower to the ring or just glue it if you're lazy. You can also make only the flower and glue it to the ring base that you can buy at craft shop. For the earring you just attach earring hooks to the flower.